JUST ARRIVED—ONLY ONE IN STOCK! The traditional trapunto topstitching is just one of the many treasures of this authentic Moroccan top from the design archive of Laise Adzer! 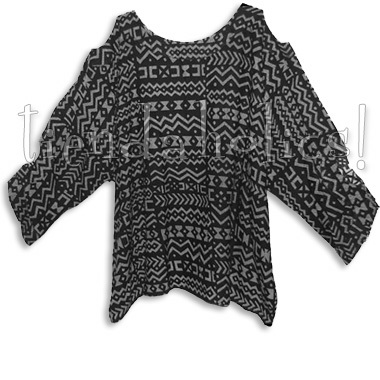 Mix up your solid color susti sets with this tribal abstract print in black and soft silver-gray... sensational!